Parenting tips and advice from one parent to another, many times renders the trusted knowledge needed to make informed decisions. Aside from being an essential part of my mission and responsibility, it's proven daily in our interactions with one another. New York City parents and their little ones excitedly joined acclaimed actress and mom, Jane Krakowski to kick off the official launch of the new and improved Pampers Cruisers #SagToSwag national tour. I was invited as media to attend the Pampers Cruisers #SagtoSwag national tour launch for the purpose of facilitating this advertorial. *P&G Data on File. Online survey of more than 500 US mothers of children wearing diapers conducted by an independent research firm in June 2014. The new and improved design of Pampers Cruisers offers little ones a better fit that is more confortable and doesn't give that wet diaper sag seen from other diaper brands. Wearing better fitting Pampers Cruisers with their unique three channel design keeps kids and parents happy about making the move from sag to swag! 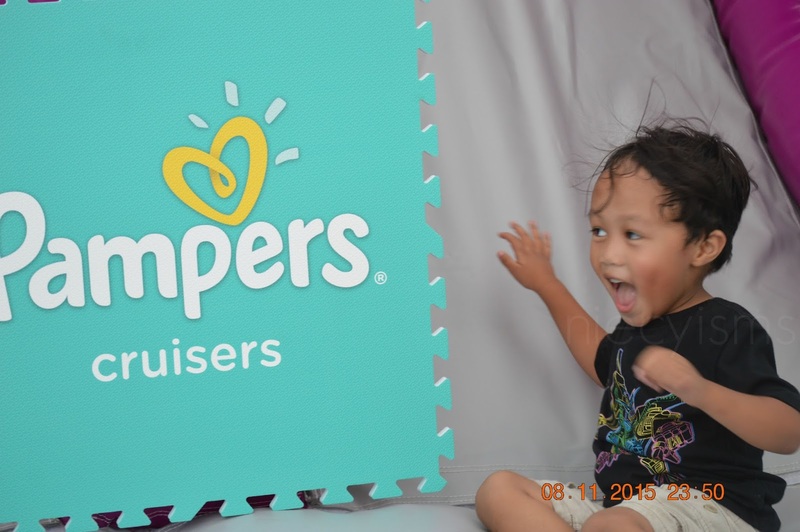 Join in on the fun as the Pampers Cruisers #SagtoSwag Tour calebrates the launch of their new and improved Pampers Cruisers diapers. Pampers Cruisere are going on a national tour to take babies and their diapers from “sag to swag”. Catch up with the tour at one of five event stops where Pampers babies have the chance to share their little swag style. Families will enjoy complimentary samples of the new Pampers Cruisers diapers, enjoy music and dancing, bounce about on inflatable slides and crawling tunnels, show their swaag at the video booth, see an interactive Pampers Cruisers demo and lots more! Even more important to me is the giveback part of the Pampers crusers #SagtoSwag Tour is the giveback. A special part of Pampers is their commitment to supporting the happy, healthy development of every baby and making life #BetterforBaby. In keeping with their committment, Pampers will make a diaper donation to local Feeding America® food banks at each Pampers Cruisers #SagtoSwag Tour stop, continuing their mission to provide millions of diapers for U.S. families in need each year. 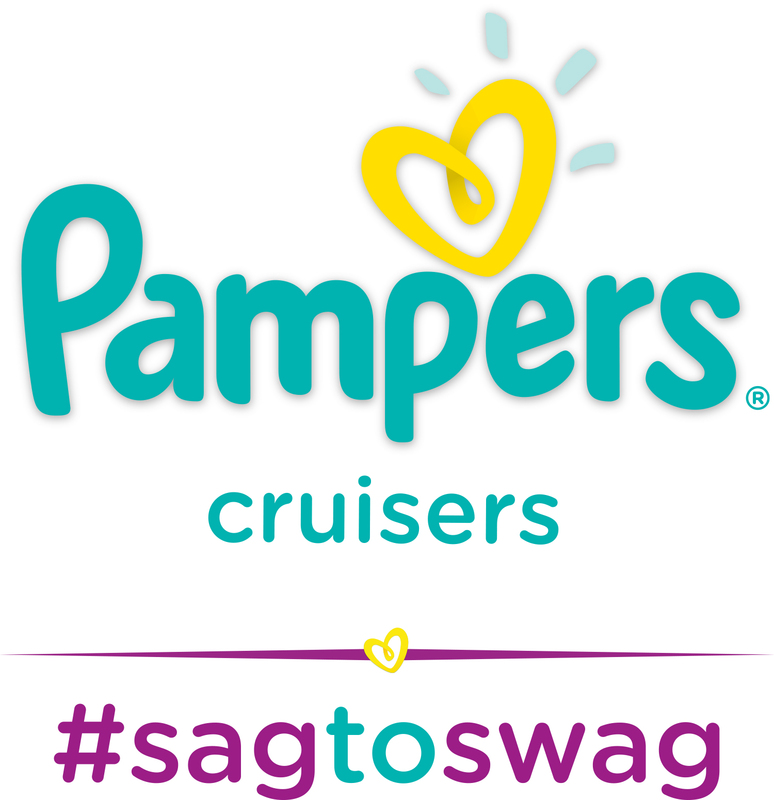 If you’re out West, here’s your chance to have the Pampers Cruisers #SagtoSwag Tour come to you in September! Parents in Denver, San Francisco and Seattle will have the opportunity to ask the Pampers Cruisers #SagtoSwag tour to stop in their area by tweeting and using the hashtag #SagtoSwagSF, #SagtoSwagDenver or #SagtoSwagSeattle before August 20th. 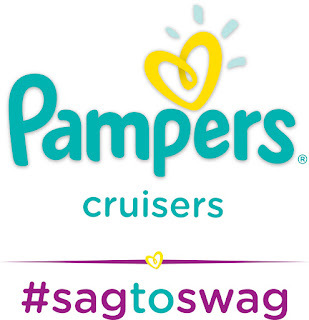 One city will be rewarded with a Pampers Cruisers #SagtoSwag tour visit in late September. Parents can visit Pampers Twitter page for more details. About New Pampers Cruisers Diapers: New and Improved Pampers Cruisers diapers with Extra Absorb Channels™ help little ones stay drier and do not sag like ordinary diapers* – helping babies go from sag to swag! Unlike ordinary diapers with one unstructured core, Pampers Cruisers have three separate channels in the core to help distribute wetness more evenly from front to back for a noticeably better fit and up to 12 hours of overnight protection.1 While the design of Pampers Cruisers has changed, these diapers are made from the same safe and mild materials as before.